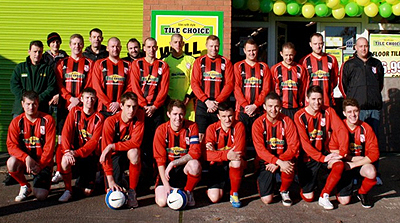 Tile Choice have taken a positive contribution to the local community which surround our 17 stores and head office. Ensuring that Tile Choice make serving the community a priority we put back in to what we are given little examples like sponsor adult and children football teams, working with local and national charities, supporting school projects and more so helping familes that need help like joining forces with DIY SOS. 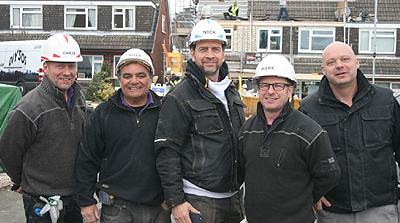 The work that the DIY SOS do on a daily basis is really inspiring, so Tile Choice were more than happy to help in donating tiles, in more than 3 occasions. 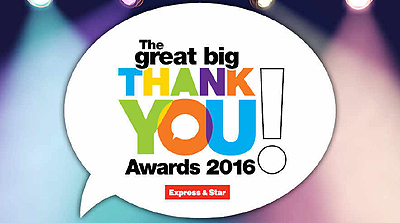 The ceremony was all about honouring some of the unsung heroes in our local communities. 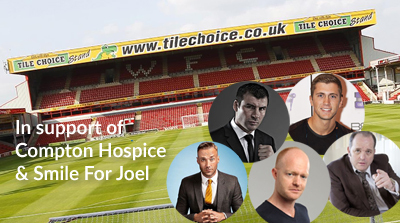 On Saturday 13th May at Walsall Football Clubs Banks’s Stadium, there will be a celebrity football match in aid of two incredible and highly supportive charities. 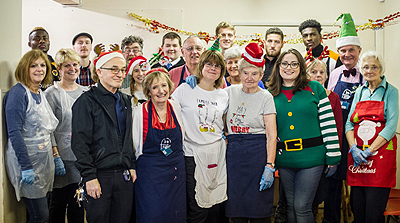 For well over a decade now, the Little Brothers of the Good Shepherd Ministry in Wolverhampton have been feeding. 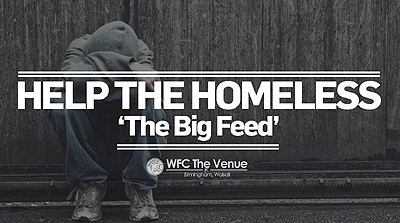 For those unaware, Tile Choice have made a contribution to the charity ‘The Big Feed’ in Walsall. Our staff have been putting together care packs for the homeless. 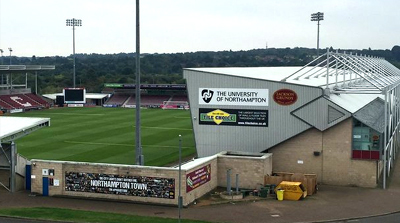 We are delighted to announce that Tile Choice have become new sponsors of Northampton Town Football Club. 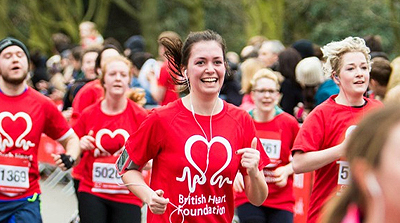 Tile Choice we're proud to support the British Heart Foundation at the Springvale Sports and Social Club. 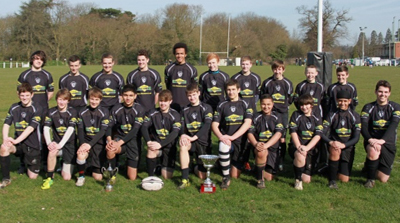 Tile Choice have always been active to help sponsor childrens football teams expecially if it helps them to develop in to good football players. 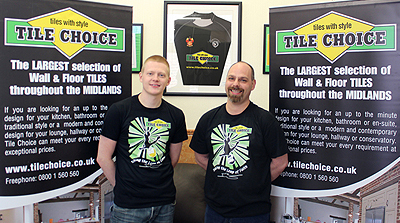 Tile Choice are kit sponsors and main event sponsors at Wolverhampton Rugby Club, Tile Choice work very closely with the club and help them when needed. 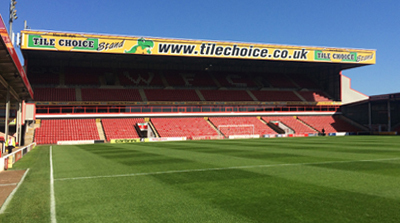 Tile Choice have joined forces with Walsall Football Club and have signed a deal to become stadium sponsors. 2 Members of the Tile Choice staff wanted to help raise money for Compton Hospice, so what better way than to take part in a bungee jump. 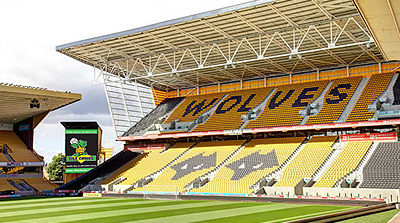 Tile Choice have come major sponsors for Wolverhampton Football Club, which involves advertising around the stadium..